Alrighty, not long to go till the Big Red Man comes! Time to think of Christmas Day’s menu. Well, think no further, I’ve taken the thinking out for you. If you asked me, or my family for my best ever recipes, this is IT. Easy. It makes me happy even writing this blog post – I just wish I could capture the smell of it cooking and share it with you! I always have a lot of ‘friends’ in the kitchen when I make this. 1 cooked ham - any size, the bigger the better... You need one with fat on it (and the rind). Carefully slice beneath the rind of the ham at the base and then slide your fingers between the ham rind and the fat layer (note, the ham I used had had the rind removed and quite a bit of the fat... Grrrrrr!!!) The rind will come away quite easily but can tear so work slowly, gently forcing your fingertips between layers. This can be done with a small knife, but may result in an uneven, cut-up surface. 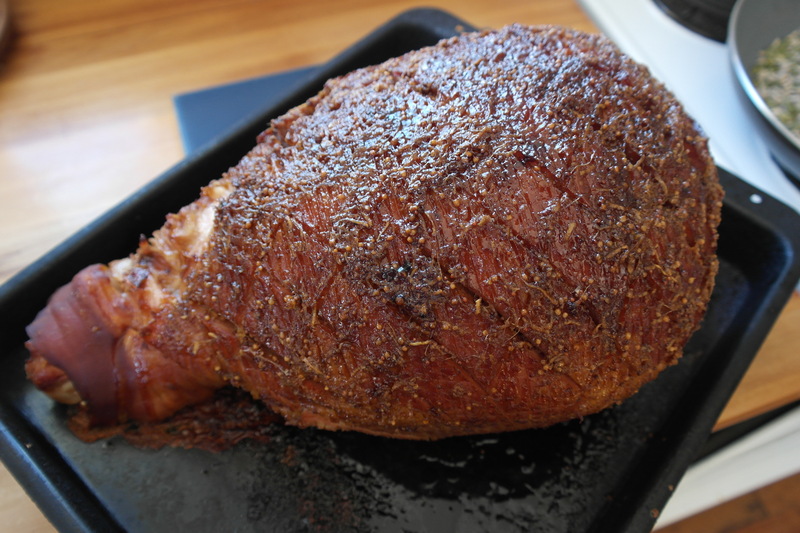 You need to retain as much fat on the ham as possible for scoring. Biff the rind in the rubbish. 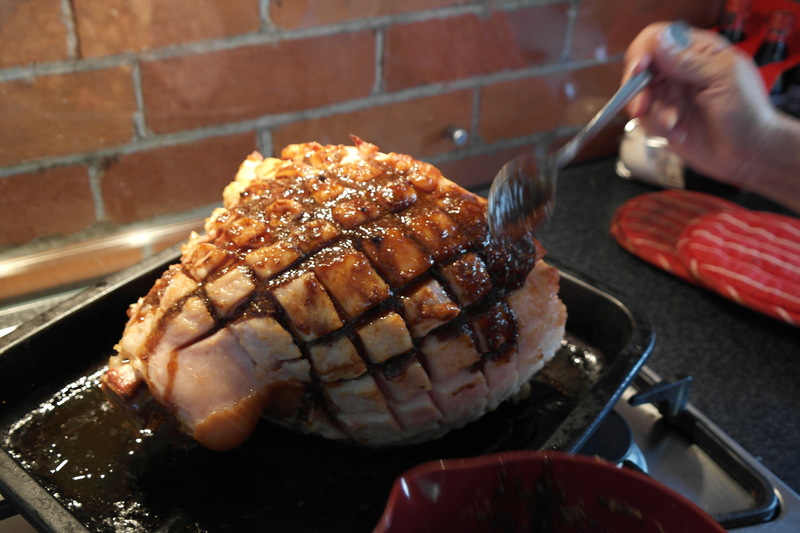 Place the ham in a large roasting dish. 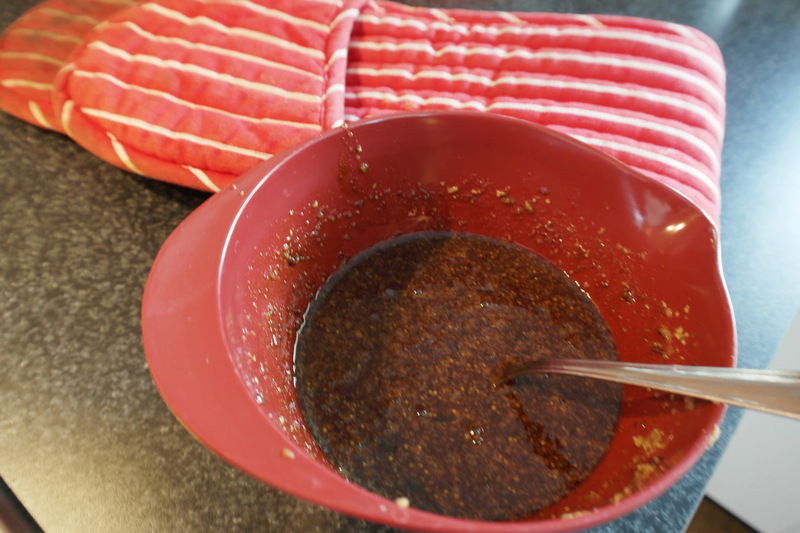 In a bowl combine the mustard, ginger and sugar with just enough of the beer to form a thick paste and set aside (go slowly with the beer, you don't want the paste too thin). Pour the remaining beer over the ham then place in the oven and bake for 40 minutes. Baste with the beer halfway through. Remove the ham from the oven and carefully smear the scored fat all over with the sugar paste. Return to the oven and bake for a further 30 minutes or until golden, basting halfway through. 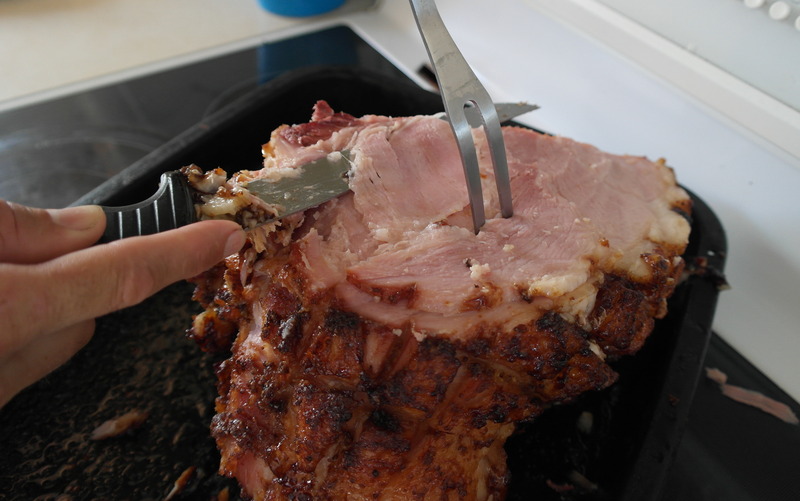 Remove ham from oven and place on a bread board. Let it rest for at least 20 minutes (This is key to keeping the meat nice and juicy). Begin carving and fight away people who come 'for a look'. *I no longer have the issue of Cuisine and I can’t find the recipe online, but full credit to NZ’s Cuisine magazine for this recipe!